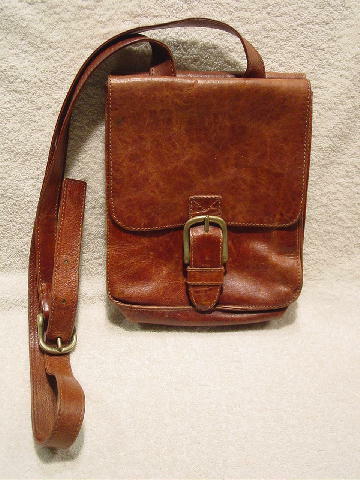 This vintage dark caramel-tan leather purse has a 45" long adjustable shoulder strap. One side of the purse has a brass-tone buckle and a hidden magnetic snap under the strap. Under the flap is a brown fabric (with some water stains) lining and a large open section. The other side has a full front flap with only the large section being lined. 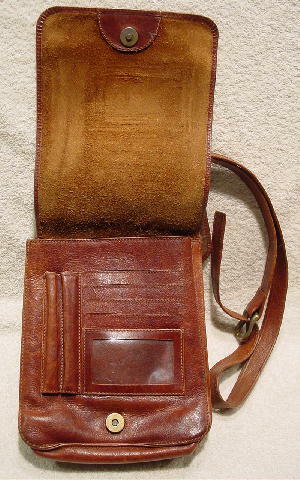 The interior has a lined zippered pocket and an open pocket faced in leather with a leather pen holder next to it. 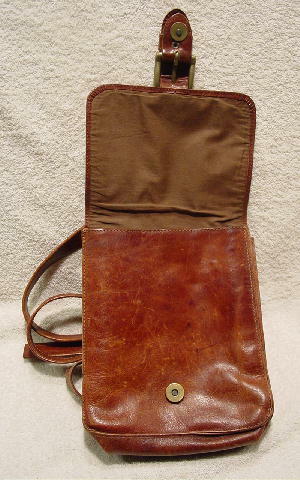 The outer front which is hidden behind the flap has 4 open card pockets, a larger pocket with a clear front, and to the left, 2 long leather pen holders. It definitely has that well-loved look. 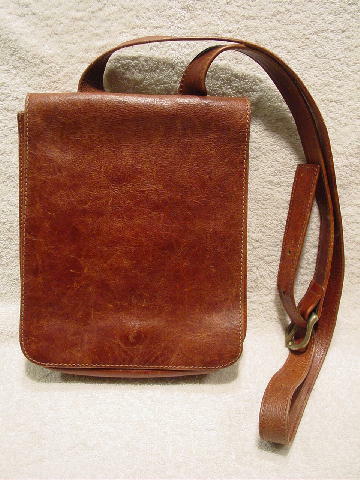 It's from a former New York model, who called it her saddlebag purse. She always wore it with jeans and boots when she went on castings and on weekends.